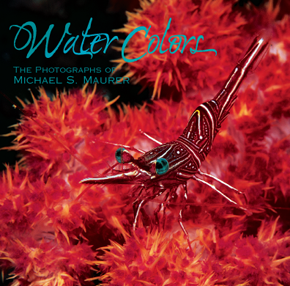 In his book, Maurer concentrates his artistry on the smallest creatures that inhabit the reef. Don’t expect photographs of sharks, turtles, stingrays, and other large animals that roam the deep. Nature is especially kind to these animals whose bodies are resplendent with vibrant color balanced by nuanced hues. The vast majority of scuba divers are oblivious to the opportunity to observe this wonder.